Who upheld the Legacy of 1804 in 2013? Tonight Friday 12/27 at 9PM. 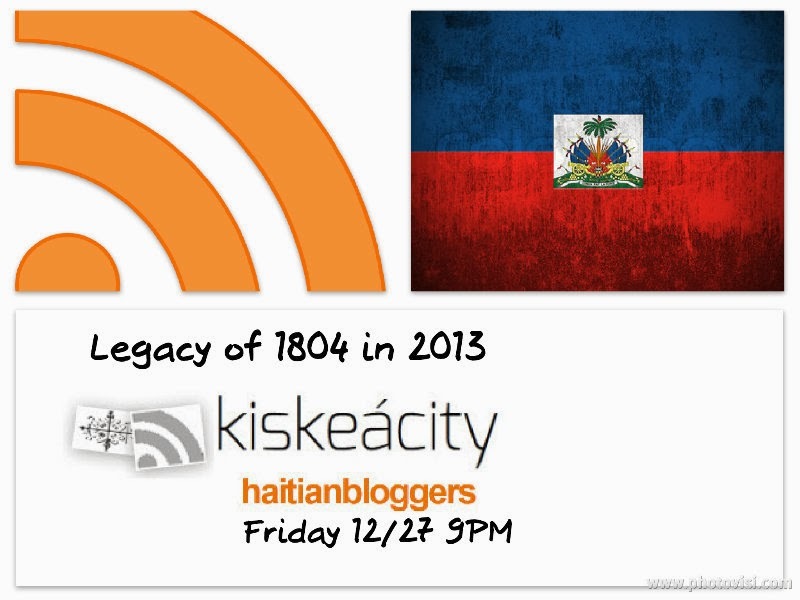 Listen Online http://www.blogtalkradio.com/blackwholeradio/2013/12/28/legacy-of-1804-year-in-review-2013-haiti or on the phone at (323) 927-2913. You can listen to past shows on iTunes by searching keywords 'Legacy of 1804'. Past shows are also available at http://www.kiskeacity.com/search/label/LOF1804. On Twitter: react to or ask questions by using the hashtag #LOF1804. Theme song for the show is 'One Note Rara' from the album ‘Blues in Red’ courtesy of Buyu Ambroise and the Blues in Red Band. TO SIGN UP FOR THE FREE NEWSLETTER AND/OR INVEST INTO MY EFFORTS, TEXT YOUR EMAIL TO 917-746-7050.